Salzburg is home to numerous unique historical attractions. The beautiful Hellbrunn Palace never ceases to attract tourists. The famous place of interest was built in the middle of the 16th century. Hellbrunn Palace is surrounded by a lush garden on all sides. By the way, on the territory of the garden are found several water springs. This important discovery has allowed the architects of this complex to make a network of beautiful fountains, so visiting Hellbrunn Palace will become an unforgettable experience. Speaking of natural attractions of this place, we should definitely mention beautiful Mirabell Gardens. Visit this place and you will find here cozy shady squares and beautiful marble sculptures and fountains - the garden is always distinguished by wonderful atmosphere of harmony and tranquility. During the daytime tourists are the main guests of this place, and on evenings here come locals, who enjoy having rest in the garden after a long working day. 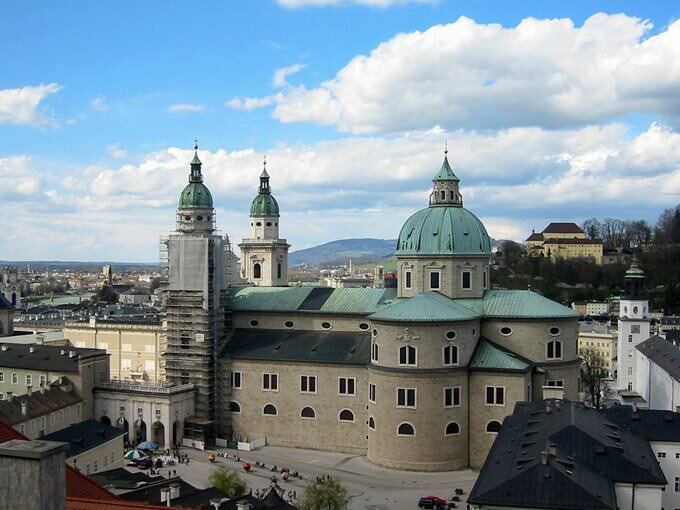 Salzburg Cathedral is the best-known religious landmark of the city. Originally a Romanesque church stood on the site of the magnificent cathedral. Today only a survived ancient font remains of that church. This is the place where took place the christening of Mozart. The interior decoration of the cathedral was performed by the famous architect Santino Solari. Even nowadays visitors of the cathedral are amazed by unforgettable beauty and atmosphere of this place. Salzburg is also home to one of the oldest castles in Europe - Hohensalzburg. The construction of the castle was completed in the 11th century. The fortress really has dark and unapproachable look. Behind the massive walls of the castle are hidden luxurious rooms that are decorated with skillful wooden carvings and gilt trim. The famous fortress keeps many rare and precious artifacts, the most famous of which is the ancient organ named "Salzburg Bull". No Austrian city can be considered such without being associated with Christmas, as it is on this exact holiday that any city in Austria (and in particular, those located at the foot of the Alps) becomes a living embodiment of a Christmas village. Salzburg is very lucky – it so happens to be surrounded by majestic mountains, and is in itself almost an ideal place for the settlement of Weihnachtsmann. 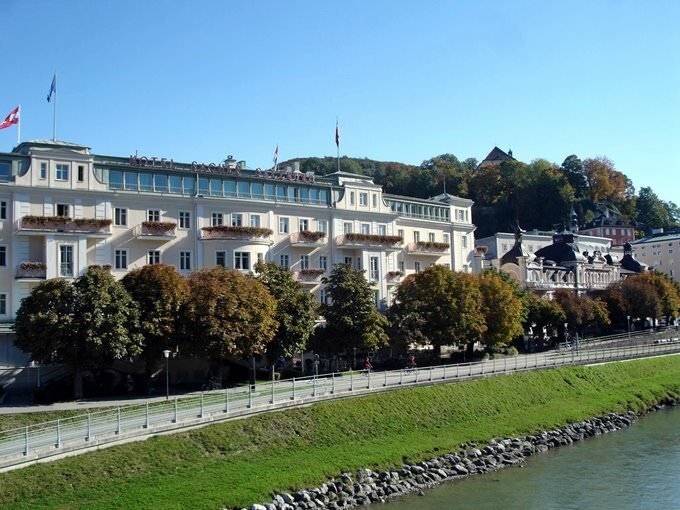 It is no surprise therefore that the Salzburger Weihnachtsmuseum is located here. The exhibits of the museum include everything that can only be connected with a religious holiday. Interesting history about the traditions of certain nationalities are told here too. Marionette Museum is another beautiful museum. Children will certainly like it here. Among its exhibits are fairy-tale characters, which seem as though they were inviting you to a fairy tale. Well, visitors are not reluctant to join in on the action. The museum itself is situated in the Salzburg Fortress (Festung Hohensalzburg), and entrance is completely free of charge. Dom zu Salzburg, in addition to being an excellent example of baroque architecture, is famous for the fact that it houses a remarkable museum of religion and church, where you can find out everything relating to these topics. Here you will find frescoes, sculptures, and paintings depicting sacred activities. Those who love walking around majestic ruins and at the same time experiencing unity with history, must definitely visit Richterhöhe am Mönchsberg. By the way, the view of the ruins themselves is simply spectacular from afar. On the other hand, the hometown of Mozart, and in particular the Hohensalzburg Fortress, offers a grand panoramic view. Here “rests in peace” a medieval fortress, from which several towers were preserved. Amazingly beautiful building can be seen at Herbert-v.-Karajan-Platz, as here is situated a sculptural composition Pferdeschwemme (Horse Well). When the fountain is operational, the place acquires a romantic sound – it seems as though everything is saying that you do not need to lose time in vain. There is another side to the city which will open to those who like to discover new faces and are determined enough for this. The Salzburg catacombs which are part of St. Peter’s Abbey and located near the Petersfriedhof cemetery, are also very interesting to visit. The exact time of its construction is unknown, but it is believed to have been in the early Christian period. Previously, they (the catacombs) were used as monks’ cells. If you are lucky enough to find where the small stairs are, then you are going to be able to visit the graves of monks. In the section below, you can get one of our excursion, activities or city discovery tours over Salzburg and surroundings. Our website offers 10-30% lower ticket prices, when compared to the offline purchase on the spot. 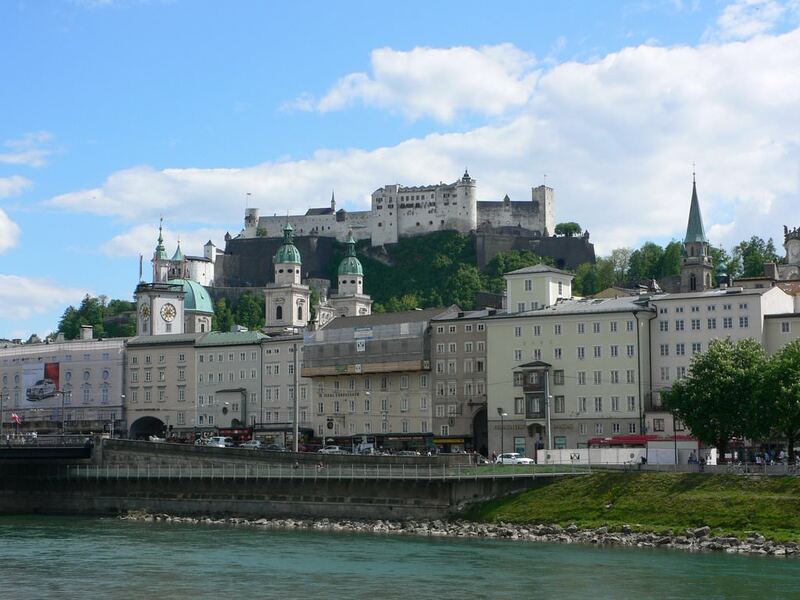 This guide to cultural sights Salzburg is protected by the copyright law. You can re-publish this content with mandatory attribution: direct and active hyperlink to www.orangesmile.com. Culture guide to Salzburg. 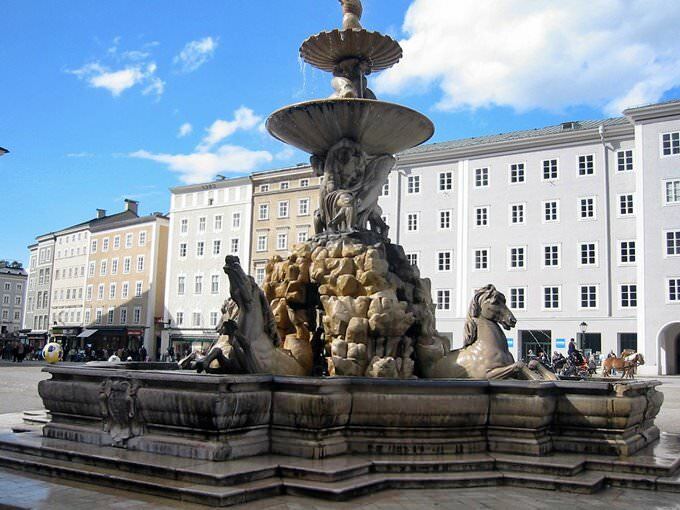 Which fascinating sights to visit once you are in Salzburg: temples, churches, museums, theaters and castles. Recommendations (with addresses, phone numbers and links) on the places 'must visit' in Salzburg. Plan your own city excursion by using this page info!